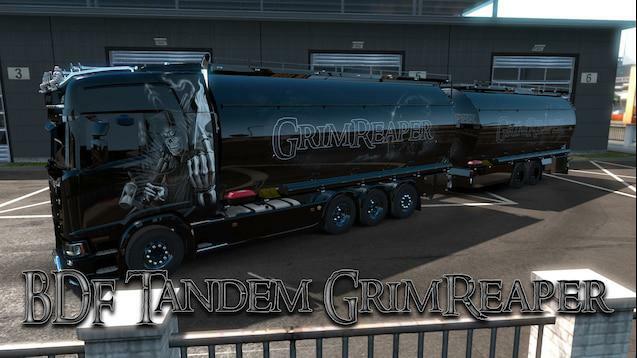 GrimReaper Custom skin for the BDF Tandem,you can find the Tandem mod on the steam workshop or on the scs forums. All you do is activate this skin above the main tandem mod and all the boxes and cisterns on the truck and trailers will have the GrimReaper skin on them, also on the owned trailers. 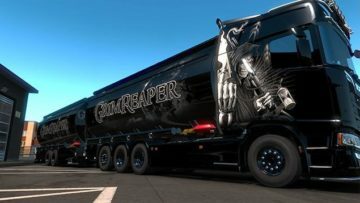 The Truck skin you can get from my Krone + Grimreaper combo.